Mrs. Digby has greater than 29 years’ experience in healthcare, which includes; medical office and health information management; billing & coding supervision and process design and implementation for healthcare providers, such as inpatient and outpatient hospital departments, inpatient rehab facilities, physician’s practices and ambulatory surgery centers. Her expertise includes performance of compliance and revenue integrity audits; medical records documentation improvement reviews; education and training regarding various compliance, revenue cycle, billing and coding topics; and, litigation investigative support services. Mrs Digby is also credentialed as a Clinical Documentation Improvement Professional. 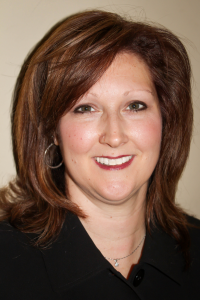 Mrs. Digby founded AQ Consulting as an outgrowth of her former companies. Previous to 2012, Mrs Digby co-founded AlphaQuest, LLC in 2000 and eduTrax, LLC in 2006, where she functioned as a consultant and lead faculty, instructor and author with developed course materials approved by the AAPC and AHIMA (American Health Information Management Association). She is currently a credentialed member of AHIMA; AHIMA ACE, Action Community for eHIM Excellence; GHIMA Coding Roundtable Committee; and is an AHIMA-Approved ICD-10-CM/PCS Trainer; and, member of the AAPC.